Nearly eight in 10 Gen Y policyholders feel that an integrated, omnichannel service program is extremely important. Nearly 8 in 10 Gen Y policyholders feel that an integrated, omnichannel service program is extremely important. Ever called a customer service line and told your story only to have to tell it all over again when you were transferred to another person? Pretty frustrating. Why didn’t the first customer service rep tell the second rep the reason for the call? Apparently, this is a universal frustration. 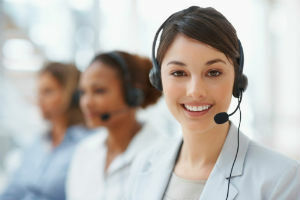 According to a new LIMRA research report, Pinpointing Preferences 2014, two-thirds of U.S. life insurance policyholders believe their insurer should provide seamless services across all their service channels — so if they share their information/question online or by email, they expect to be able to call and speak to a service rep or their advisor who has access to that information without having to go through it again. That’s the world we live in today. Retail companies keep track of all of our interactions — whether they are in person, online or over the phone. It benefits the consumer, offering convenience; it benefits the company, offering a clearer understanding of the consumer’s preferences and behaviors. It is not surprising that nearly 8 in 10 Gen Y policyholders feel that an integrated, omnichannel service program is extremely important — most have had the option of buying online, in person, or over the phone throughout their lives (see chart). The report also revealed another emerging trend. While having an online presence is important to consumers, having a mobile presence is growing more important — especially for Gen Y consumers. More than a third of Gen Y policyholders accessed their insurance bill online using a tablet or their smartphone. This is likely to grow as consumers get more comfortable with mobile technology. We saw a similar trend in banking. In 2011, 1 in 5 Americans were banking with their mobile devices. Today, 32 percent of U.S. consumers do their banking transactions using mobile devices. Overall, the policyholders across all generations still want to be able to access service through traditional channels, but there is a growing interest in new channels and a growing expectation that the channels are integrated. Read the original LIMRA blog post here.